Our family dental practice was established nearly 30 years ago. Now a network of sister offices, we bring hometown care to more families than ever before. As a Medicare provider, we also care for a large number of children, teens and young adults. Every smile is welcome in our practice. We see patients from 18 months old to 90 years young. Ultimately our goal is to provide preventative checkups and cleans so that most people won’t need complex treatment or dentures years down the road. Did you know that between our nine dentists, two hygienists and two visiting surgeons, we’re able to provide nearly all of the dental services that you need without referring you to another provider? We even have hospital access to serve patients in need of general anaesthesia for more complex procedures. We also provide denture and mouthguard facilities on-site, so that you can enjoy same-day delivery and repairs without anything being shipped overseas. When you need same-day dentistry, we can deliver. Enjoy a scale and clean, fissure sealants, X-rays and preventative services with no out-of-pocket expenses, providing that you’ve already served your waiting periods, are within your annual limits and hold an eligible level of coverage. Our in-network providers also accept all other funds, like Bupa, Medibank and Mildura Health Fund. 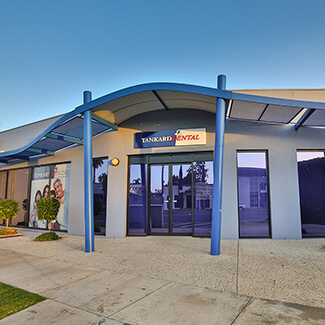 In fact, our Ouyen practice also accepts pension plans as well. If you haven’t already been to our office, you may have seen us about town. We sponsor several area football, netball, hockey and tennis teams; we’re also active in fundraising for the Lucas Foundation and Cancer Society. Experience modern, friendly dental care close to home with a team of professionals who treat you like a friend. We want visiting the dentist to be as enjoyable as possible! Book your first visit with us today.